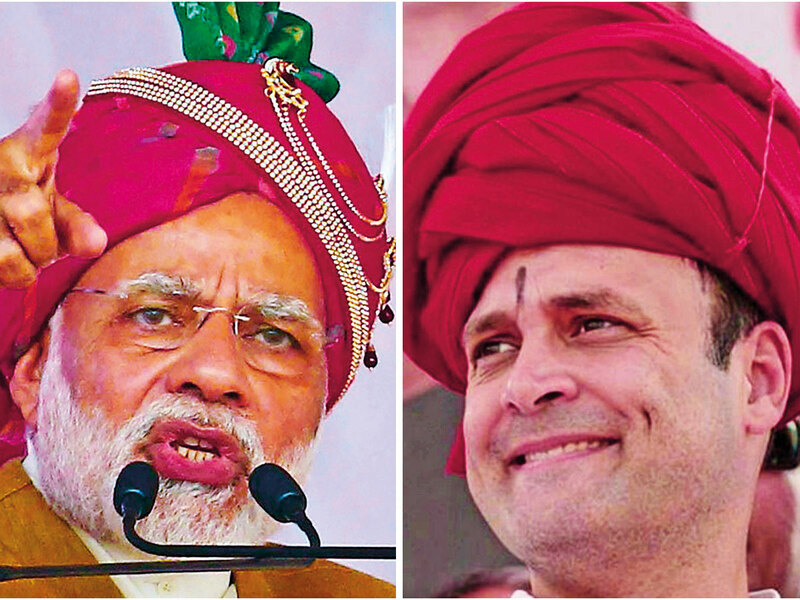 A reader discusses the Congress and the BJP leaders, requesting both to step up their game before the 2019 elections. Another reader discisses the horror genre of movies. As all other like-minded Indians, we all are awaiting the great Indian circus which will be taking place during the first half of 2019. The trailers of which have already started on all Indian news channels. There are two main entertainers who are going to entertain us for the next few months, before they again disappear for the next five years. Let us introduce these comedians to you. On one hand is a politician who is hilarious. People enjoy his antics and he does not leave any opportunity to entertain the masses with his skills every time he is on the floor. But this person is not an ordinary man; he is Oxford-educated and comes from a very influential family. His family has entertained Indians for around 50-odd years, and given the opportunity, they will still entertain us for generations to come. They are interactive, they will involve everyone in the process of their act, but will finally script only those things which will maximise their theatres revenues and profits. However, for the past four odd years, their profits are declining and they are working hard to be in this comedy circus with the help of other comedians. Be it the #beefban comedy, the #metoo comedy or the #sabrimala campaign, we don’t understand how these campaigns will help an ordinary poor Indian to make a better living for himself and his family. On the other hand, we have another hilarious politician, but his comedy and emotional acting is not noticed by everyone and cannot be compared. He is an authoritarian comedian and entertains audience due to his frequent comedy trips abroad. The best part of his comedy and acting is that he will make you a fool, without even making you realise that you are being fooled. He makes a fool of everyone and people who don’t fall for it are branded as traitors. He has changed the definition of nationalism. Both the above have their own dedicated media channels and these channels will make every effort to leave no paper unturned to promote their absurd and hilarious acts. They have made these media channels their slaves and are sending journalism and ethics for a toss. They partake in news debates and intellectual discussions, which are nothing but tools used to divert the attention of the Indian masses aay from the main issues affecting the country. These politicians are only interested in power and money, they are interested in statues, which reflects our insensitivity towards poverty, when a majority of Indians are facing issues involving basic schooling, medication and more. The past great leaders would be feeling pity for the narrow mindedness of these ‘leaders’ who could have used the taxpayer’s money for a better future of the nation and generations to come. - The reader is the head of a company based in Dubai.